Teaching and learning at SNSPA is delivered by four Faculties and one Department. Each has a varied staff of academics and experts, providing courses, producing research outputs and creating partnerships with the local and the international community. All ensure their graduates with the skills, experience and attitudes that employers are looking for. Professionalism, Innovation and Talent are the key-words that define the Faculty of Public Administration. We take pride in our expertise and competitiveness, spanning back two decades of academic research into the science of governing. Thousands of graduates dedicated to serving the public interest stand testimony to our reliability. We approach the act of teaching as a team and we believe in unveiling the potential of every member of our community! 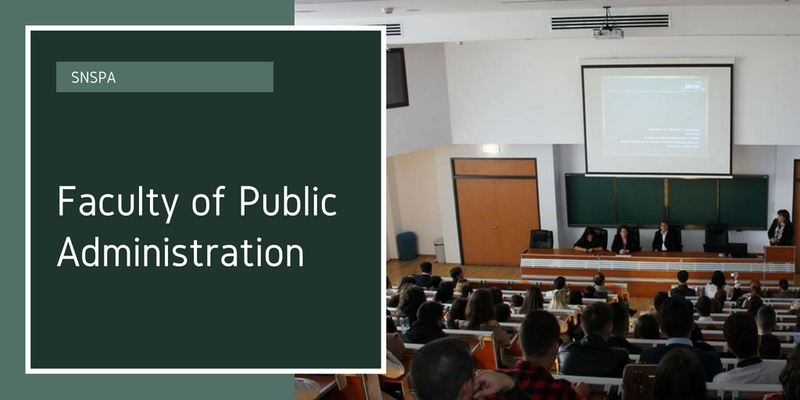 The Faculty of Public Administration seeks to develop the skills necessary for managing the act of government in an intelligent and sustainable manner. The Faculty of Communication and Public Relations (FCPR) is a dynamic institution that has affirmed itself as a prestigious school of communication. 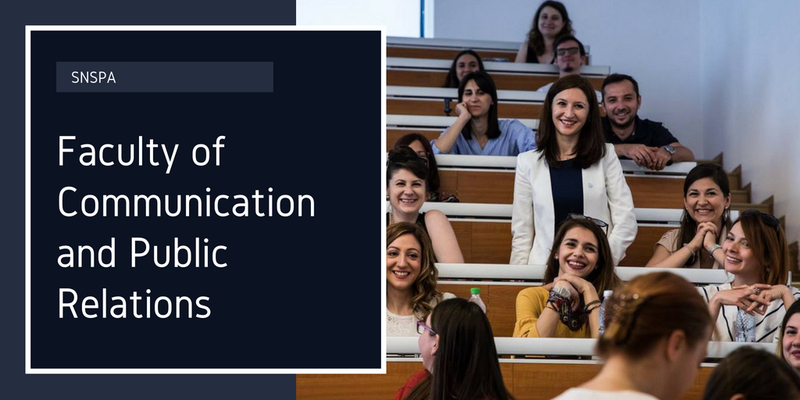 FCPR encourages and supports academic excellence in the field of communication and public relations, both through study programmes and research activities in these areas. The Faculty promotes cooperation initiatives with communication and advertising organisations, conducts joint research projects and doctoral and master’s degree programmes with renowned universities abroad, which increases the FCPR’s prestige and visibility in the academic circles and within the relevant industry. The faculty’s ongoing efforts focus on developing high quality study programmes, in which creative and innovative teaching methods are used to the students’ benefit. The Faculty of Management, the youngest structure within SNSPA, undertakes the role of training young people who wish to build a career in the management layers of organisations, in the business and management practice and consultancy. The experience that teachers bring to class is not only that of excellent academics, but also that of professionals who are in permanent contact with the business environment, as practitioners or trainers. 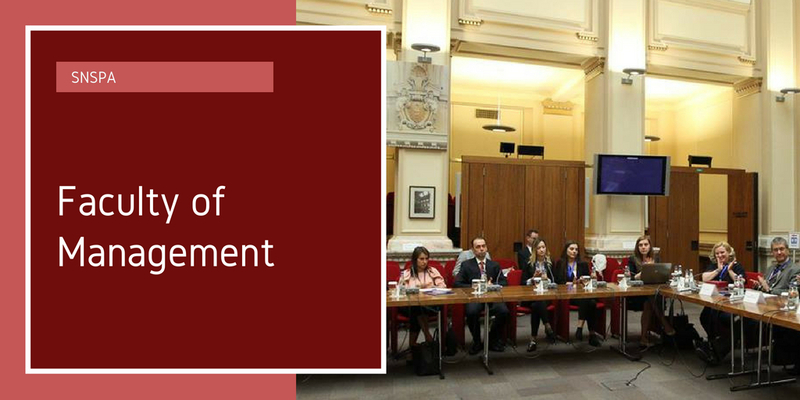 The knowledge and skills necessary for the rapid professional development of the faculty graduates are provided not only during courses and official internships, but also through dynamic student projects, quite unusual ones for the Romanian academic environment. The academic activity and the wide-scope projects conducted by the faculty and its students are endorsed bY the business environment through partnerships with the faculty. The Faculty of Political Sciences is one of the largest faculties of political sciences in Romania. 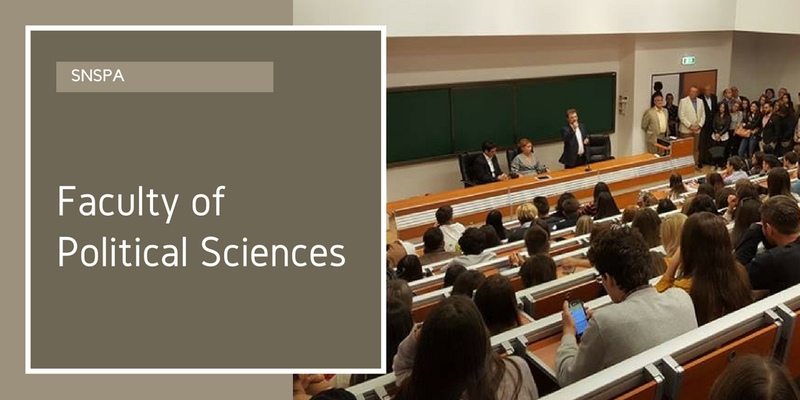 Through the study programmes and the research activity conducted here, the Faculty of Political Sciences intends to develop the political science discipline and other related disciplines and also to promote the democratic and civic values of the Romanian society. The academic staff of the Faculty has multi-disciplinary expertise, thus ensuring high quality support for the study programmes. The graduates of the Faculty of Political Sciences are appreciated for their solid training and their professional and social skills and currently work both in-country and abroad. The Department of International Relations and European Integration (DIREI) is the founding domain of the National University of Political Studies and Public Administration. DIREI was designed to ensure a close link between the theoretical and the practical training in the area of foreign policy, security or defence policy, and to develop solutions capable of creating the connection between the academic and the expertise areas. DIREI organises master’s degree programmes in the field of international relations, diplomacy, security studies and European studies, that enable employment in various domains both in the public and the private sectors. 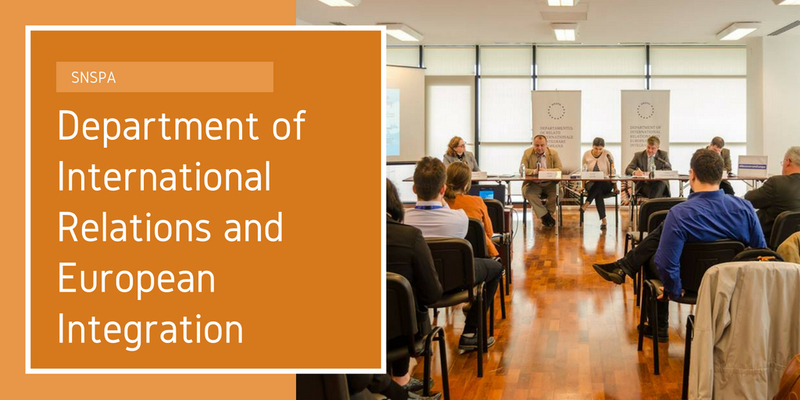 The teaching staff of DIREI has a rich expertise in the field of foreign relations, diplomacy, national security institutions, international nongovernmental organisations, their expertise emerging from them being renowned practitioners or personalities in the Romanian and European public life.